Myeh! You dirty rat! 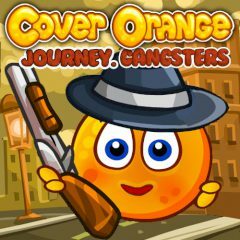 You think you got what it takes to play Cover Orange Journey: Gangsters? We'll see about that. It's another chapter of the popular physics puzzle series where you drop pieces to make structures to keep the orange beneath them safe from those no-good clouds dropping lethal rain. With fans, safes, bowling balls and more, keep those oranges from getting so much as bruised... or else!